Here's watch to look for on this weekend's Road to the Olympic Games shows featuring sports from around the globe in freestyle skiing, speed skating, alpine skiing, and cross-country skiing. The last of the major, long track speed skating world championship titles may be the toughest to win. Since 1893, the world allround championships for men have been contested while the women joined the fray in 1936. These championships amount to multi-disciplined challenges which demand that skaters be sprinters, as well as endurance racers. The men are required to compete in four races over the course of two intense days, the 500-metre, 1,500m, 5,000m and 10,000m. This arduous grind is known as the "Big Combination," and the overall champion is the athlete with the fastest combined time across all races. The women follow the same four-event schedule and scoring system, the difference being the distances. They take on the "Small Combination," which is comprised of the 500m, 1,500m, 3,000m and 5,000m. Over the years these championships have produced legendary skaters such as Germany's eight-time winner, Gunde Niemann, as well as American Eric Heiden and Norway's Johann Olav Koss, who each won on three occasions. Canadians have won four times. Jack McCulloch was the first in 1897 when the championships were held in Montreal. Fellow Winnipeg native Sylvia Burka won in 1976 while another Manitoban, Cindy Klassen, is the only Canadian to have won twice, 2003 and 2006. The favourites on Berlin ice are last year's champions Sven Kramer of the Netherlands, and on the women's side, Czech star Martina Sablikova. Kramer has seven titles to his credit and is trying to equal Niemann as the most prolific allround skater in the history of the sport. Canada is represented by Ted-Jan Bloemen, who holds the world record at 10,000m, while winning silver at the world single distance championships in that event, along with bronze in the team pursuit. Ivanie Blondin, of Ottawa, the current world champion in the mass start, is winding up a tough and challenging campaign which has established her as the leader of the Canadian women's team. "It felt longer this season than in the past because we had such a small training group," Blondin said before leaving for Berlin. Along with her coach Mark Wild, only teammate Josie Spence was in Blondin's camp throughout the season. "It's hard physically and mentally not having the full support of the team," Blondin reasoned while maintaining she'll continue to work on races of varying distances. "I'll keep competing all the distances because if I'm to be successful over time in the mass start, I'll need both speed and endurance." Blondin was Canada's top finisher at the world allround championships last year when she finished sixth at home in Calgary. As the World Cup alpine ski season draws to a close, the overall dashes for the Crystal Globe continue to rage on. Our feature race is a men's giant slalom from Slovenia where the four- time overall champion Marcel Hirscher of Austria can go a long way towards securing an unheard of fifth consecutive title. Hirscher leads 21- year-old phenomenon Henrik Kristoffersen of Norway by less than 200 points with a handful of events remaining. Hirscher has the GS title well in hand but is getting a push from the young Norwegian who looks poised to win the slalom championship. If one racer wins while the other fails to complete an event things could change dramatically. When it comes to the women, American Lindsey Vonn has abandoned her chase of a fifth overall title. Vonn crashed last week during a super G in Andorra and sustained three hairline fractures to her left knee. Although she raced the next day and wound up 13th, the severity of the injury caused Vonn to quit the season and concentrate on a recovery with her return hopeful for the outset of the 2016-17 campaign. Currently Vonn leads the overall standings by 28 points over Swiss rival Lara Gut and eight races remain on the competitive calendar. In addition, Vonn has 76 all-time World Cup wins to her credit, second only to Swedish legend Ingemar Stenmark. The World Cup season concludes for the mogul skiers with a spectacular race in downtown Moscow this weekend. The course is built on a giant scaffold-like structure, and because the racers go head-to-head in the dual mogul event, quarters will be very tight and anything might happen. In particular, the quest for the season title in the women's division is full of intrigue. Sisters Chloe and Justine Dufour-Lapointe are within a few points of each other as the final race approaches. The 24-year-old Olympic silver medallist, Chloe, leads the standings by a mere nine points. Meantime, 21-year-old Justine, who captured Olympic gold in Sochi, has been the runner up for the Crystal Globe four years running and has never won the overall title. As far as the men go, Mikael Kingsbury of Canada has already secured his fifth overall title and will be seeking an all-time record 33rd World Cup victory. For the first time in history the World Cup cross-country season concludes in North America and the Crystal Globes will be awarded on Canadian soil. Ski Tour Canada comprises eight races over the course of 12 days in Gatineau, Que., Montreal, Quebec City and Canmore, Alta. All distances will be contested including sprints, marathons, mass starts, and pursuits employing both the classical and free techniques. It's the most complete test of talent in cross-country skiing which exists anywhere in the world. "It's a fundamental building block for the sport," 2002 Olympic cross-country gold medallist and CBC Sports analyst Beckie Scott said. 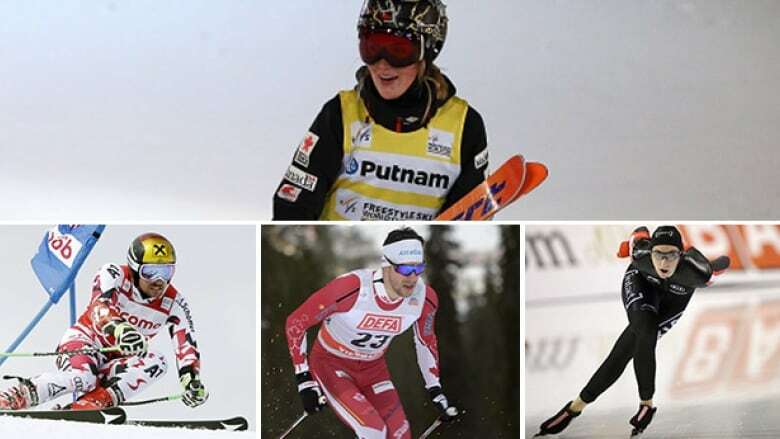 "It's imperative that we have races like this in Canada and expose up-and-coming athletes to the intense calibre of racing on cross-country skiing's World Cup. It's an all-around athlete who will succeed here. The racer who stays mentally fresh and inspired is the one who will prevail." The Canadian star is 28-year-old Alex Harvey who has been to the Olympics twice and won four medals on the world championship stage, including team sprint gold in 2011 at Oslo with Devon Kershaw of Sudbury, Ont. "I think he's still entering the prime of his career," Scott says of Harvey. "He is the complete package and the consummate professional. He pays attention to every detail and has the knack of rising to the challenge. Male cross-country skiers are competitive well into their 30s and in terms of confidence, Alex is just hitting his stride. There is nothing at all missing from his skill set." The overall World Cup leader in men's competition is Martin Jonsrud Sundby of Norway, while his teammate Therese Johaug has the inside track on the women's season championship.